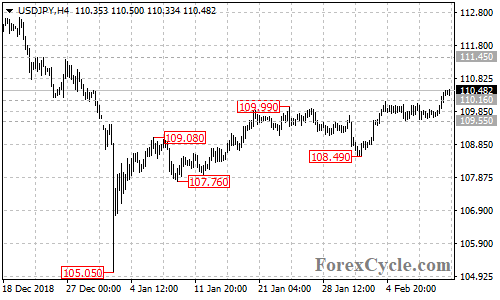 USDJPY broke above 110.16 resistance and extended its upside movement from 108.49 to as high as 110.50. Further rise could be expected in a couple of days and next target would be at 111.50 area. Key support is at 109.55, only a breakdown below this level could signal completion of the uptrend.